CUBS furniture for Andrew and Elisa designed by themselves, which includes doors and wheels. Finish in white lacquer and beech doors.These doors have no handles or knobs, relying on a push-to-open mechanism. This enhaces minimalist appearance of the piece so that attetion is focused on geometry. Check out how well the CUBS furniture fits in Àngels' house. This piece of furniture is adapted to an existing pilar attached to the wall, so that it remains hidden. In this way a new space has been created in the room, with a differentiated character. This hallway cabinet, is configured from a bookshelf ELECTRIC. Its strong geometry contrasts with the more classic decorative elements of the house. The bookshelf ELECTRIC brings personality to passage spaces, where the views are predominantly biased. This piece of furnitures was designed to the needs of the clients. 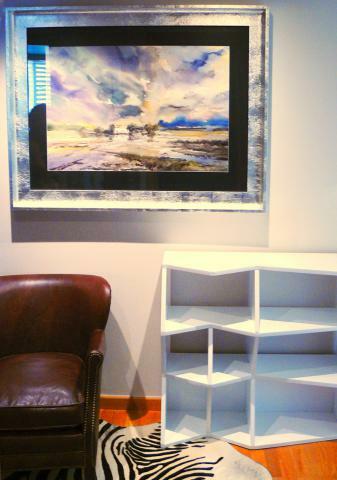 It is composed by two different pieces, a long low cabinet and a hanging double shelf. Even though this piece shares material choice with other imotiu furniture, the shape grammar is new and will be soon added to the online furniture wizard. 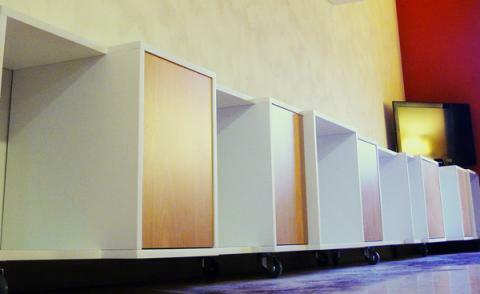 We have made a new type of furniture for a store in Valencia. 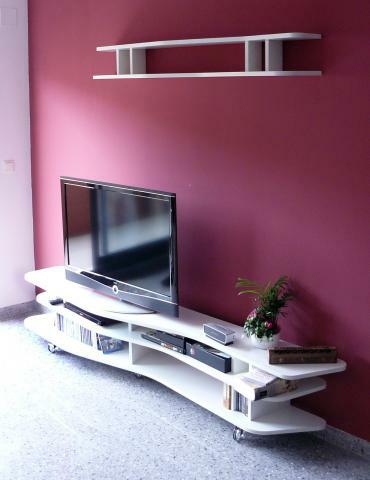 Discontinuous vertical shelves, are placed perpendicular to the front curves of horizontal shelves of the cabinet. The effect is spectacular, as the light is reflected differently depending on the surface's angle. As you can see, the combination with other classic furniture provides an interesting counterpoint!